Bess and I met a few years ago when I was delivering flowers for a photo shoot that she was shooting. She graciously helped me unload my flowers from the car and from that moment I knew she was a kind soul. It didn’t take long for me to learn what a badass photographer she is, too. Bess quit her job in advertising to become a photographer just a few years ago, and it did not take long until everyone from Elle to Loony took note. 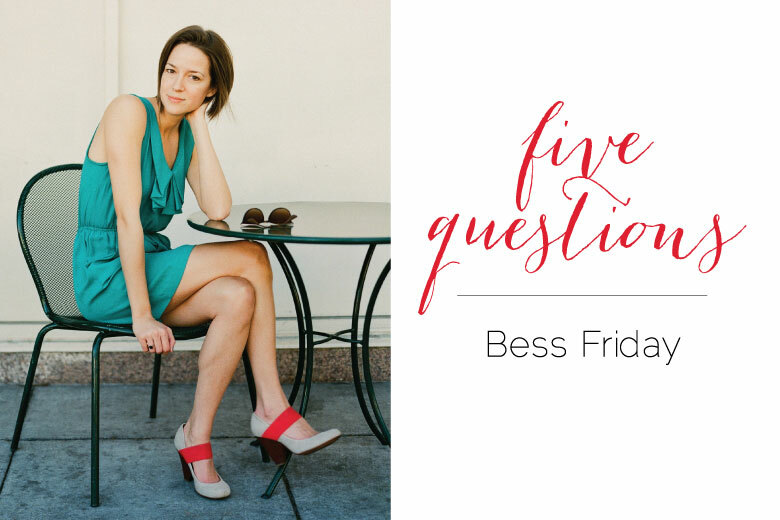 Bess captures light in a way that turns a photo of a room into a portrait and a story. I admire her clarity and drive, and encourage you to keep your eye out for her work. You’ll know it when you see it. 1. What is one thing about your current life that would surprise the younger version of you? I think most of it would surprise me! I never dreamt that I would actually make photography my career. That seems so far-fetched. I was in another career for quite a while that was you know, going along just fine but I didn’t love it. It wasn’t the thing I desired to be doing. So I took some advice from some very smart, kind people who I admired and I quit! I put everything into this little dream of being a photographer and by some stretch of the imagination, it worked! People were really lovely to me as I was getting my business of the ground and they gave me some very lucky breaks and now I get to call this my career. I feel incredibly humbled by it. There are many day’s I don’t feel like I deserve this job. I sorta feel like I got lucky but that feeling pushes me. I’m always wanting to make the work better. I never really feel like “oh, now I’ve made it” or anything close to that. You gotta keep pushing. Keep creating more. I definitely need to kick it up a notch. In a way, that’s a really good feeling… the desire to strive for more. 2. What was the most influential year in your life so far? What made it special? This year, by far, has been the most influential. We welcomed a beautiful baby girl into the world and I’ll tell ya, that’s a game changer. She’s taught me so much already about being present. I’m learning a lot about patience and slowing down & about productivity vs. busyness. All those big “life” things. She rocks my world. 3. What was your best career moment or your first big break? 4. If you weren’t doing what you’re doing now — what would be your alternate career? A farmer. I know that sounds totally crazy, as currently I don’t even keep a garden & I hate waking up early — but I’d love to spent more days outside. I like the process of tending to something, keeping it growing and then having something to share once the work is done. I need to do more of that in my daily life. Maybe I’ll come to work with you sometime, Natalie! 5. What is your most vivid memory involving a certain floral? My grandparents had this wonderful farm in Louisiana. In the front, near the house, my grandmother kept flower beds of Tiger Lily’s. I have the most vivid memories of the light cotton dresses my grandmother would wear and the smell of the Tiger Lily’s. That place was magical and I adore that smell ever since.